Thinking about going to Las Vegas? Forget about the casinos and bright lights of the strip. 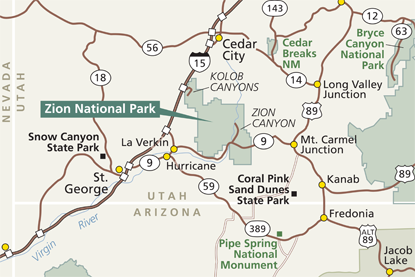 Instead take a 2-1/2 hour drive to the northeast and check out Zion and Bryce Canyon National Parks in southern Utah. Throughout Zion, reddish, golden and rust-colored rocks are contrasted by the deep green of pine forests; mesquite, manzanita and cottonwood groves; and fern and moss-filled grottoes. 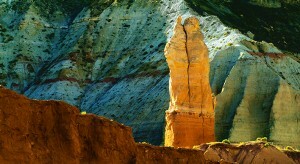 It is strikingly beautiful and one of the most awe inspiring sights in the American Southwest. After driving through the quaint resort town of Springdale, Utah, which has many restaurants, hotels, art galleries and boutiques, Zion visitors park at the large Visitor Center and board shuttle buses in the peak season of spring through fall. It’s a low-emission transit that relieves automobile congestion in the narrow canyon. You can take the bus up and down the canyon, getting out at various spots to do a little hiking. Most walks are not strenuous. A true highlight awaits those that take an easy one mile walk to the world famous Narrows. 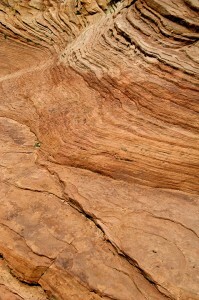 Here the canyon walls loom close to each other while visitors walk up the shallow bed of the Virgin River. It’s an unforgettable experience. 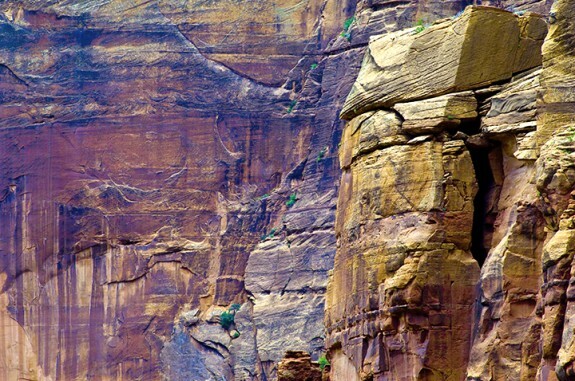 There are many other trails for hiking and exploring in Zion. There are also many sidewalks and developed paths for those who want to keep closer to the park’s facilities. Zion National Park is filled with an incredible array of wildlife. Visitors might glimpse elk, peregrine falcons, hummingbirds, desert tortoise and bats. Flowers are abundant in spring and summer, with Sego lily and columbine among the most commonly seen. In my opinion, however, unless you prefer to hike around and spend some significant time exploring, Zion is probably not the best choice. It’s specialties are for those that hike its trails and explore the various places it offers, which requires some physical effort. 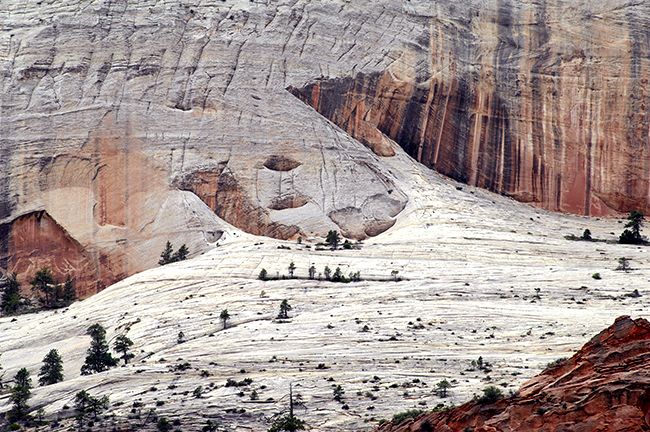 If one is a hiker Zion is a treasure trove of opportunities for amazing sites, but it does require effort. You don’t just take a car or bus right to all the sights. 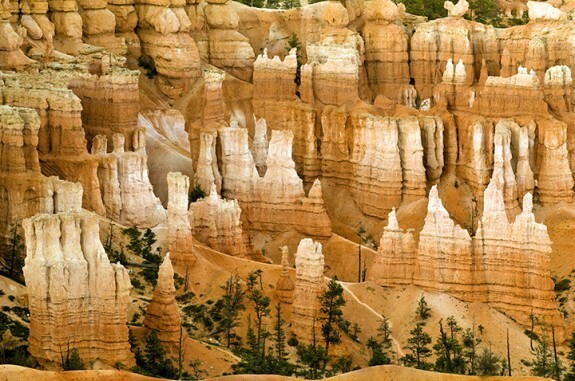 In contrast, Bryce Canyon National Park gives you great vistas and views with nearly no effort. If you are not a hiker and prefer to have road access to special views, Bryce is is the better choice. It is smaller than Zion, but feels much bigger. Take your time driving from Zion to Bryce (approximately 83 miles). I recommend you take US 89 to UT 12. UT 12 is amazingly scenic. You will drive through an area called Red Canyon that is simply gorgeous. Enjoy the drive, Bryce will be there waiting. You will be able to enter Bryce Canyon National Park and drive the length of the main park road to the end and back, stopping at all 14 overlooks, and getting a feel for the layout of the park and where your pictures will be waiting for you. There are at least a couple of overlooks that are trailheads for hiking down into the hoodoos –the tall, skinny spires of rock that protrude upward– that will be worth returning to. Finally, from a photographic viewpoint, the best lighting occurs from mid to late afternoon, if using the overlooks. Bryce will be definitely easier than at Zion in terms of easy to reach spectacular views of hoodoos, and rock formations; yet much of the park is high alpine with wide open pine trees spaces, prairie dogs, antelopes and elk grazing in meadows. There are great views of red desert rock formations and green ponderosa pines. 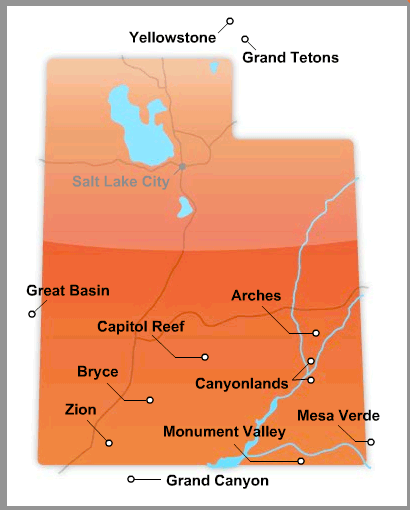 Whatever you do, do not leave out the trip on Utah state road 12 that skims along the northern edge of the “Grand Staircase-Escalante National Monument”, which in my opinion is comparable to the great National Parks of Utah led by Zion and Bryce. The drive on state road 12 truly is memorable! Conclusion: This area is among the most jaw-droppingly gorgeous places in the world and will always be one of my favorite locations for photography. Have fun – you cannot take a bad picture anywhere in this area. There are seven charming B&Bs and inns in Springdale, Utah. You can find them listed here. Best Western Ruby’s Inn is located one mile from the entrance to Bryce Canyon National Park and approximately 83 miles from Zion National Park. When you’re taking the scenic drive, for a Five-Star restaurant in the middle of “nowhere,” you must go to the Rocking V Cafe in Kanab, Utah and give my regards to Victor.